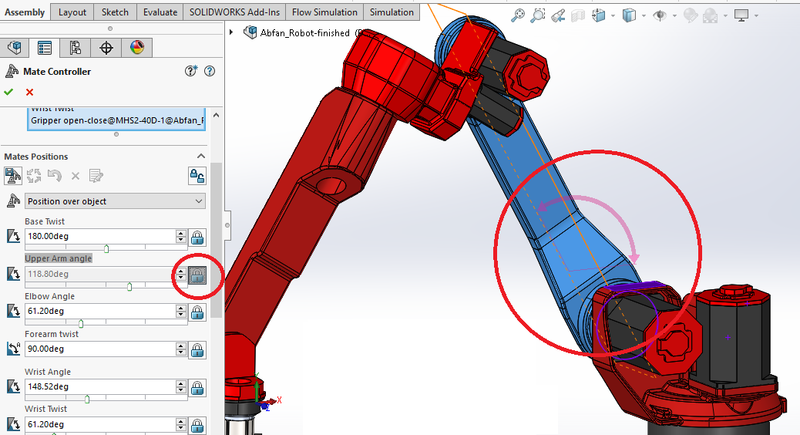 Mates are used in SOLIDWORKS to constrain and connect different parts in an assembly. 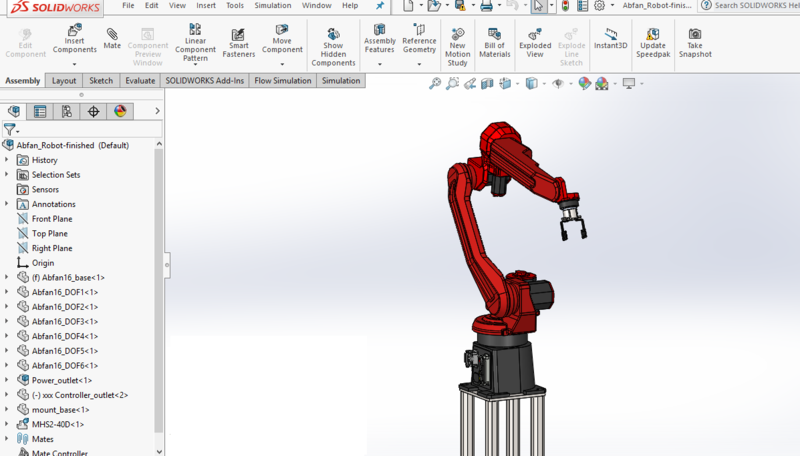 Complex assemblies with mechanical moving parts often present a challenge to the designer to get the desired assembly orientation. Designers have often created multiple configurations to show the assembly in various states of operation. 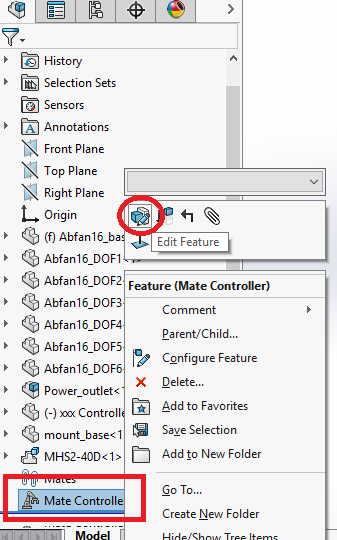 In SOLIDWORKS 2016 we now have the mate controller feature that makes controlling assemblies much easier. This robotic arm has many degrees of freedom to perform operational tasks. 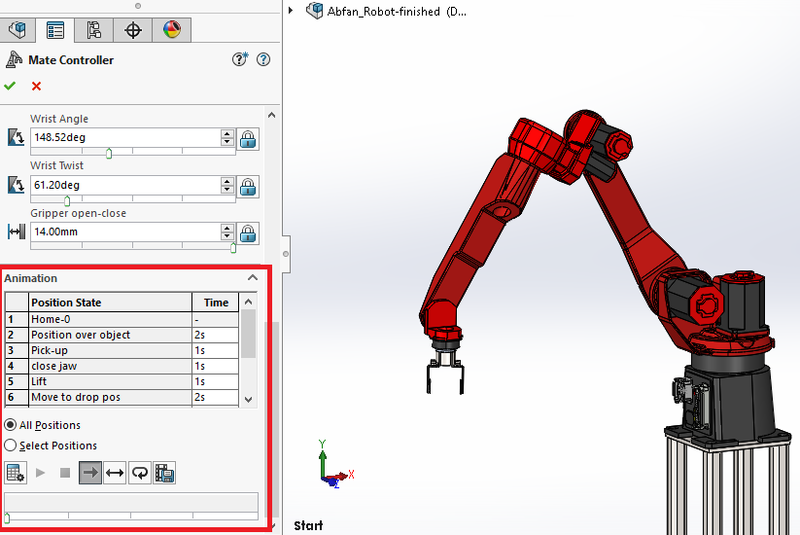 Controlling the model to show the arm in the correct orientation can be a challenge, therefore we want to use the Mate Controller Feature. Once mate controller is selected, you will find the applicable mates listed in the Mates box. To unlock a mate simply click on the unlock button beside it. The designer is then free to either enter in a specific value or move the mate freely in the graphical window. Once the designer is satisfied with all the mates and orientation, the overall mate positions can be saved under “Mate Positions”. 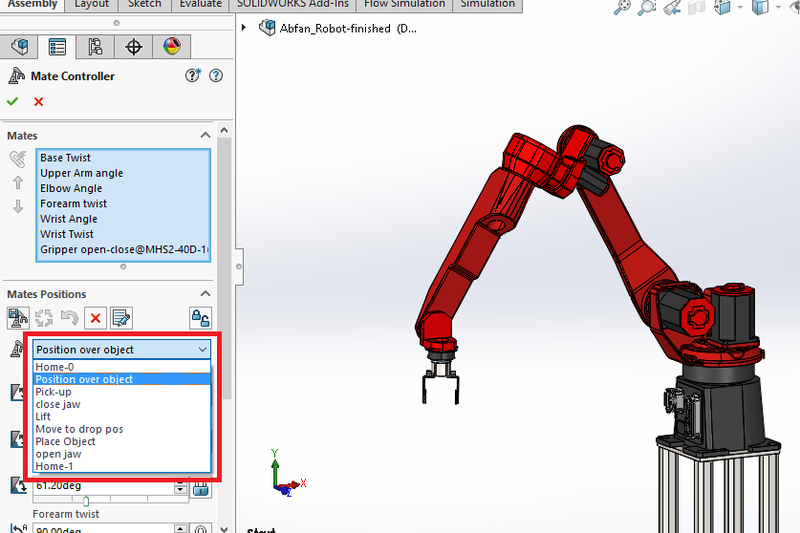 This allows the designer to save multiple assembly orientations. 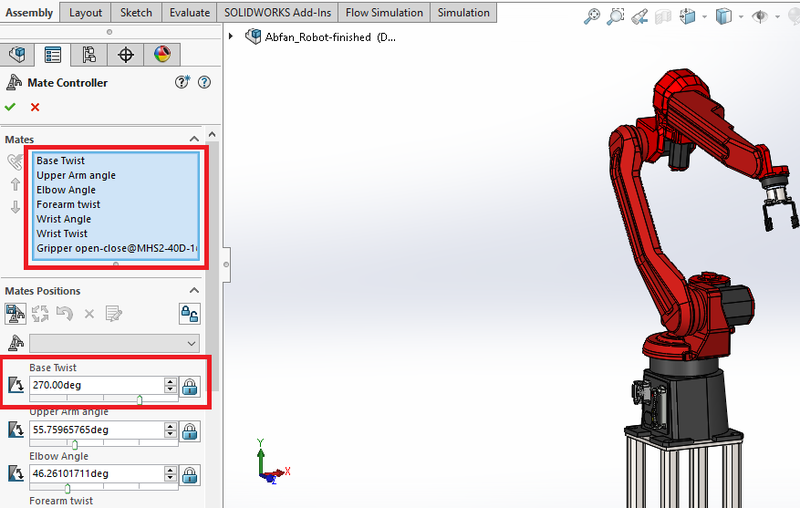 Finally, the designer can then use these positions and place them in such an order as to show a sequence of events that can be animated in SOLIDWORKS. Users with Photoview 360 will be able to further render these motions. In both cases, designer will be able to save the animated assembly in a compact file to show the assembly range of motion. With the addition of Mate controllers, controlling assemblies with many degrees of freedom and mates is much easier.